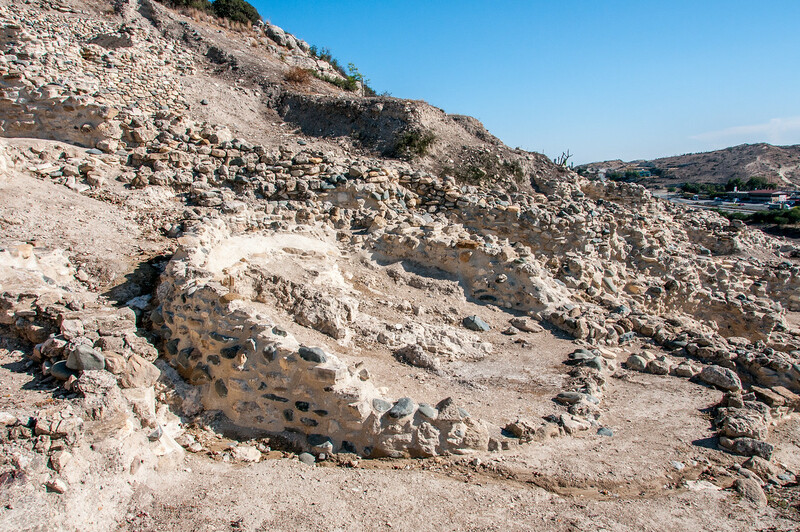 Located in the District of Larnaka, about 6 km from the southern coast of Cyprus, the Neolithic settlement of Choirokoitia lies on the slopes of a hill partly enclosed in a loop of the Maroni River. Occupied from the 7th to the 5th millennium B.C., the village covers an area of approximately 3 ha at its maximum extent and is one of the most important prehistoric sites in the eastern Mediterranean. It represents the Aceramic Neolithic of Cyprus at its peak, that is the success of the first human occupation of the island by farmers coming from the Near East mainland around the beginning of the 9th millennium. Excavations have shown that the settlement consisted of circular houses built from mudbrick and stone with flat roofs and that it was protected by successive walls. A complex architectural system providing access to the village has been uncovered on the top of the hill. The achievement of such an impressive construction, built according to a preconceived plan, expresses an important collective effort, with few known parallels in the Near East, and suggests a structured social organization able to construct and maintain works of a large scale for the common good. A house consisted of several circular buildings equipped with hearths and basins arranged around a small courtyard where domestic activities took place. The houses belonged to the living, as well as to the dead who were buried in pits beneath the rammed earthen floors. Among the finds such as flint tools, bone tools, stone vessels, vegetal and animal remains, noteworthy are the anthropomorphic figurines in stone (one in clay), which point, together with funerary rituals, to the existence of elaborate beliefs. Since only part of the site has been excavated, it forms an exceptional archaeological reserve for future study. Like many archaeological world heritage sites, Choirokoitia is important but not much see when you visit. I usually budget an hour for visiting most singular cultural sites like this one. After 30 minutes I had seen everything there was to see. The site is a series of circular stone rings which have been excavated from a hillside and 3 reconstructed dwellings….and that is it. It isn’t very big and doesn’t take a lot of time to visit. Assuming you read every sign, walk every path, and read everything in the brochure, it will be hard to spend more than 30 minutes here. On the plus side, it is very easy to access from the highway and is only about 20 minutes from the Cyprus airport. Choirokoitia is a cultural UNESCO World Heritage Site in Cyprus. It was inscribed in 1998 as a prehistoric and archaeological site. It is also commonly referred to as Khirokitia. It is considered as one of the most important archaeological sites in the Mediterranean region. To this day, more excavations are ongoing at the site and it is only partly covered. According to archaeological studies of the remains in Choirokoitia, the human life form in the area started in 7000 BC. It has not been determined where these people originated from. 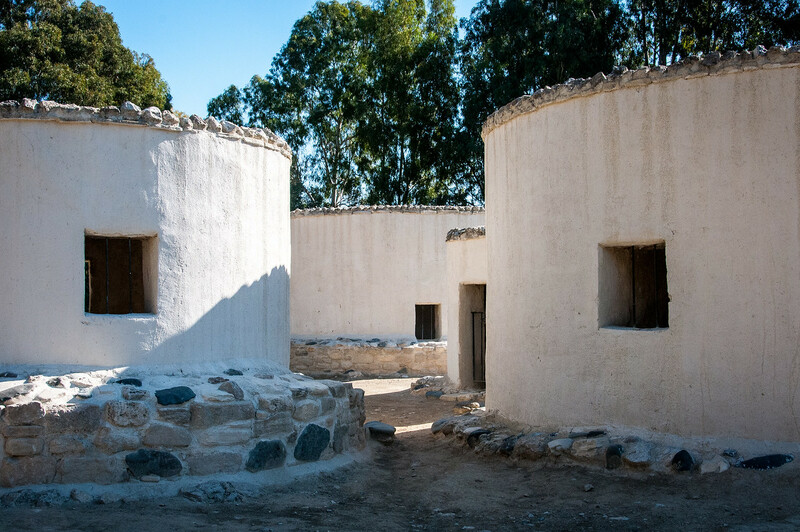 However, many theories suggest that the people who lived in the Neolithic villages of Cyprus came here due to the colonization that took place in the Middle East. Choirokoitia is an archaeological site that dates back to the Neolithic Age. As one of the most important archaeological sites in the Mediterranean, it is believed to be one of the best examples of an organized and functional society through a collective settlement. 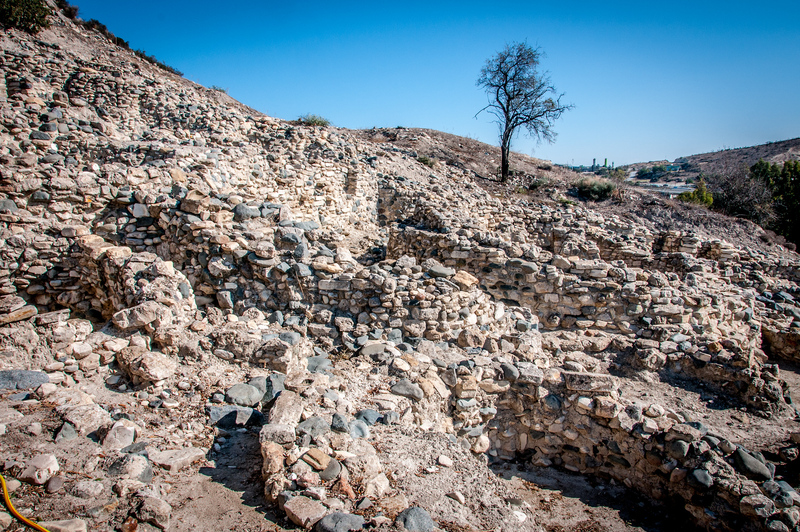 The excavated site also consists of a fortification to defend the entire settlement. Choirokoitia was discovered in 1934. It was the Cyprus Department of Antiquities director who made the discovery. Since the discovery of the site, he and his team had performed up to 6 excavations that ended in 1946. The findings of his research on the site were first made publicly known in the 1934 edition of The Journal of Hellenic Studies. More excavations were conducted in the 1970s but came to a halt when the Turkish invaded the island. The village that was preserved in the UNESCO site Choirokoitia consists of about 300 inhabitants. The villagers relied on agriculture and animal husbandry for their survival. There is also evidence of herding goats and sheep, raising pigs, and farming crops. These people were also estimated to not live longer than 35 years. One of the distinct customs that were linked to the village was their tradition of burying the dead beneath the floor of their houses. This is one of the ways in which they had kept the dead as close to the living as possible. The village of Choirokoitia is a closed village with little communication from the outside world. It is also surrounded by a river and strong wall of fortification that is in an excellent state of preservation. There are numerous buildings within these walls and they are mostly huddled close to each other. In addition, these buildings were typically rounded in structure. These structures are known as huts. Other distinctive features for these structures include various levels within the hut to indicate that each section served a different purpose. 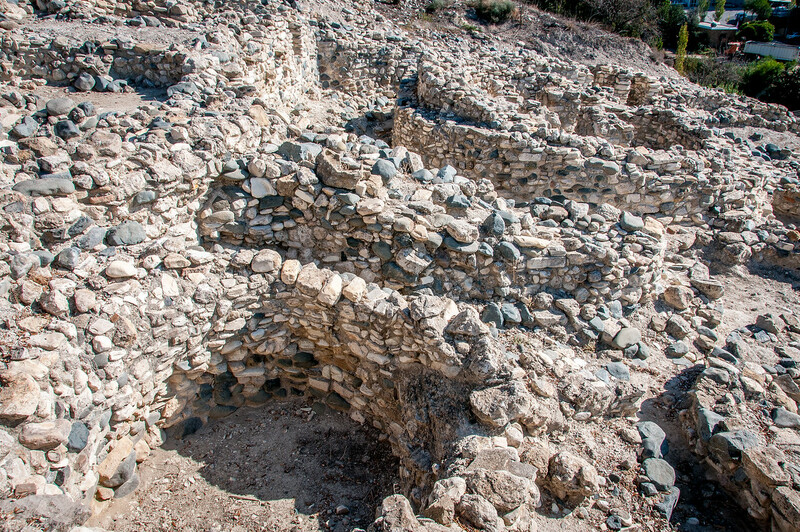 In 6000 BC, the village of Choirokoitia in Cyprus was abandoned for an unknown reason. It is believed that the island was uninhabited over the next 1500 years. 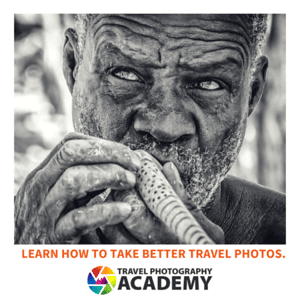 The fact that small communities such as this are small and widely dispersed are part of the reason why they have remained intact and well-preserved in terms of culture. View my complete list of UNESCO World Heritage Sites in Cyprus. View my complete list of UNESCO World Heritage Sites which I have visited.